A good magician shows off his tools, letting the audience know his amazing feats are accomplished not by something as simple as a trick deck of cards or two-headed coin, leaving them all the more astonished as a result. A good thriller writer does the same, laying out all the evidence so that the reader theoretically can solve the puzzle before the solution is revealed, but craftily using misdirection to keep them from figuring everything out until the finale is underway. 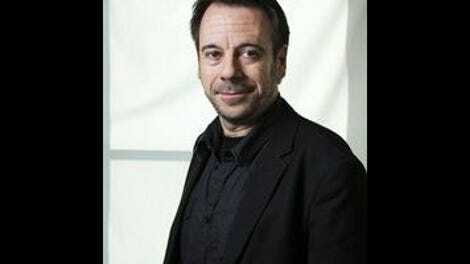 After The Crash, the first novel by bestselling French crime novelist Michel Bussi to be published in the U.S., has its impressive moments of literary sleight of hand. But it ultimately feels as disappointing as watching a magician who promised to conjure a rabbit go and pull one from backstage. 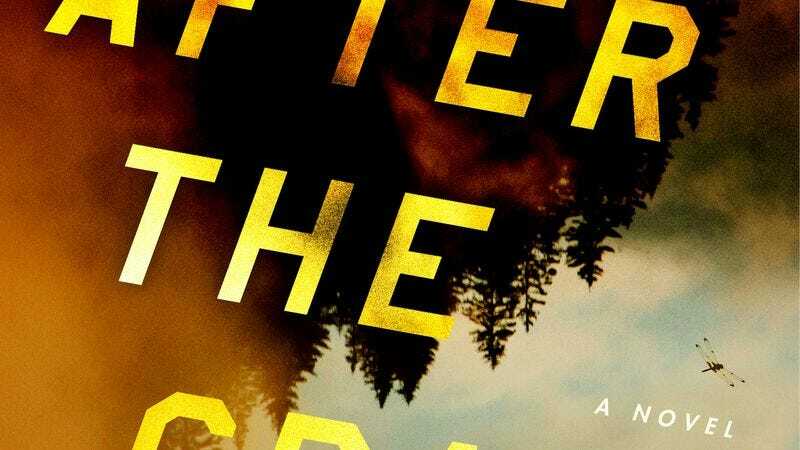 Set in 1998 France, the novel deals with the aftermath of a 1980 plane crash that left no survivors except a three-month old baby. Two sets of grandparents, the poor Vitrals and wealthy De Carvilles, are each convinced that the child is theirs. The highly public court case that follows eventually awards custody of the baby dubbed Lylie—a fusion of her two possible names—to the Vitrals. The remaining uncertainty produces lasting conflict: Marc Vitral is convinced Lylie is not actually his sister due to the romantic rather than familial love he feels for her, while the De Carvilles strive to win her back by hiring the private investigator Credule Grand-Duc to keep the case alive. The tale alternates between Marc’s modern-day perspective and a case journal written by Grand-Duc to sum up his findings before he eventually commits suicide out of despair and frustration. The parsing of historical perspective works far better here than in Elizabeth Kostova’s similarly structured The Swan Thieves, as Marc is limited to real time as he rushes around France trying to find Lylie, who has pledged to take some form of dramatic action based on her own confusion about her identity. Bussi has a compelling premise, but the problems in his narrative start early and don’t stop. Lylie is a prize and not a character, defined only by her positive attributes. In an uncomfortably classist bit of writing, she’s so beautiful, smart, and talented in contrast to Marc that his grandmother, Nicole, begins to doubt her relation and agrees to take money from the De Carvilles to help her flourish. Yet despite all that supposed intelligence, Lylie lacks the agency to solve her own mystery, so Marc has to do it for her with the help of Malvina, his analogue on the De Carville side. Malvina’s issues make Marc’s possibly incestuous feelings seem like a minor quirk. After being pushed to testify that Lylie was definitely her baby sister, Malvina was unable to cope with that loss. The mix of foul-mouthed bitterness, childishness, and obsession actually makes for a fairly compelling character, but Bussi goes too far by giving Malvina’s mental issues the bizarre physical effect of preventing her body from aging beyond that of a pre-teen. Then there’s the timeline. If you want to tell a mystery that could be easily solved by a DNA test—which began seeing use in legal cases in the ’80s—it would be better to set up that storyline before that technology is available. Even a few years earlier and the action could still remain perfectly intact, the investigation made amusingly futile from the perspective of hindsight. But Bussi has to go through some pretty large narrative hoops to make it work here and the plot suffers for it. Still, the timeline does allow Bussi to make strong use of cellphones as Marc and Lylie play the world’s most frustrating game of phone tag, which could have been easily solved in the age of smartphones and text messages. The clumsiness and manipulative nature of Bussi’s plot bring down his better tricks, which include some intriguing red herrings, surprising deaths, and a particularly great reveal that sets the stage for the novel’s final act. Grand-Duc’s chapters are especially entertaining, a coy commentary on the nature of penning a thriller as the detective knows he has a captive audience to tell his tale to. This narrator seems all too entertained by delaying the juicy details Marc (and through him, After The Crash’s readers) want to know with meandering tales about his attraction to Nicole Vitral or the enjoyable times he spent investigating the case in Turkey. Sifting through these seemingly irrelevant tidbits for the actual clues Bussi hides there, or revisiting them once new information makes them more obviously relevant, is the book’s greatest pleasure. It’s a shame that Bussi didn’t find more clever ways to conceal the pieces of his puzzle in plain sight. That could have brought some real magic to After The Crash.